Richard Koshalek is not the founding director of the Museum of Contemporary Art, Los Angeles, but he has proven its most influential leader. First hired in 1979 as the chief curator and deputy director to help plan for the museum’s grand opening, Koshalek served as director from 1983 until 1999, building the collection, endowment and staff, including the key hires of curators Paul Schimmel, Ann Goldstein, Connie Butler and Alma Ruiz. Koshalek is now working with a small team, including Ruiz, on a book about MOCA’s early history, he says, "interviewing over 100 creative people involved—artists, architects and curators”. He spoke with The Art Newspaper after MoMA PS1’s director, Klaus Biesenbach, was appointed to lead the Los Angeles museum. 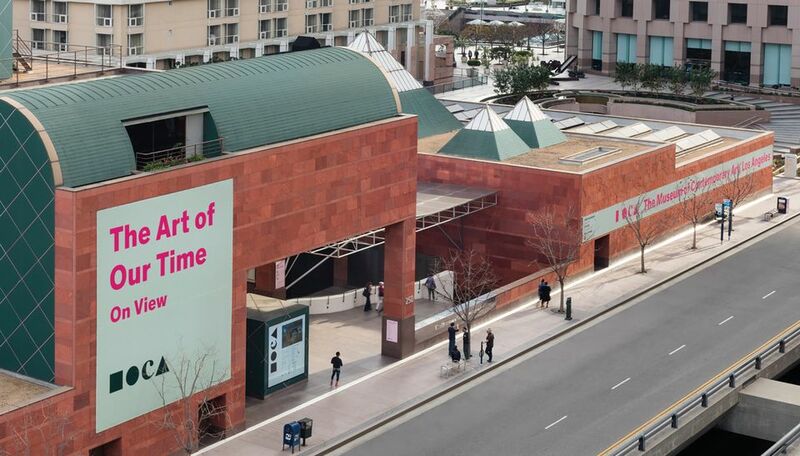 The Art Newspaper: You call this a “critical juncture” for MOCA, even more so than when the museum hired Jeffrey Deitch in 2010 or Philippe Vergne in 2014. Why? Richard Koshalek: Yes, I think it’s even more important now because there’s been a lack of clarity in terms of the museum’s vision for 20 years now—it’s time for a plan that moves the institution forward. There’s also a critical mass of institutions of high ambitions now that makes for a very challenging and competitive landscape—Lacma is more engaged with contemporary art than ever before, and the Hammer [Museum] is at its most energetic and creative. What do you think of the selection of Klaus Biesenbach for the job? I think he is a dynamic, accomplished individual with experience in Europe and also New York. I’m not sure how he familiar he is with Los Angeles or what’s happening in the Pacific Basin or Latin America, but I think he has the potential to bring the different constituencies together in Los Angeles. I think he’s challenge-driven and he’s a problem solver, but he also has to be an opportunity seeker. Some artists here are worried that Biesenbach doesn’t know LA at all—they were upset to hear him say that LA “is turning into the new Berlin”. It upset me too. LA doesn’t want to be the new Berlin or the new New York. He has to understand LA in all its complexity, and that’s not easy. It doesn’t see or define itself in conventional urban terms. If you don’t understand its nature, you will run into difficulty. So what’s the most important thing about LA to keep in mind? One thing you need to remember is that the LA area is made up of 39 different cities, from Malibu and Beverly Hills to Pasadena and San Marino, each with its own city government and its own commitment to the urban fabric. When we created the founding endowment for MOCA, we realized that one reason the Pasadena Art Museum folded is that their support was just Pasadena. MOCA has an ineffective board, skeletal staff and no chief curator in place. What do you think Biesenbach’s priorities should be? If MOCA is going to participate in culture as a vital and meaningful institution, its leaders have to rethink all aspects of what it does and come up with a strategy for what the institution should look like in five, ten and 25 years. This is their biggest challenge for the next nine months. They need to consider the buildings, the collection and its conservation, the curatorial staff, the board of trustees and their financial resources to move the complete institution forward. I know some people are wary about Biesenbach’s collaborations with celebrities. I'm thinking of Tilda Swinton, Bjork and James Franco, who former director Jeffrey Deitch also championed. Why does everyone seem to think that MOCA should be the place for art-entertainment crossovers? Speaking of trustees, any thoughts about how Bisesenbach should go about rebuilding this board? It’s not so much rebuilding the board. This is just my opinion, but right now what I’m finding is that the most progressive cultural institutions are examining their board structures and exploring a more fluid model of board organisation. Alongside permanent board committees such as finance, there could be what I would call “fragile, agile committees” that take on a single purpose and goal and energise the trustees. Once that challenge is answered, that committee will go out of existence and they will focus on the next challenges. One small committee at MOCA could focus on the architecture; another, collection strategy. Unless the board structure is altered, I don’t think you will see progress within that institution. Don’t you think Biesenbach needs to reshape or restock the board much as Michael Govan did with Lacma, where within three years of his arrival 50% of the board was new? I think once you find out what the institutional challenges are, you might need to ask a certain number of trustees who are not committed to those challenges to leave. But I don’t see rethinking the board as the director’s responsibility. The board chairs have to set the agenda for the board; they are responsible for making the board effective, not the director. It has to come from the peer group. I understand the artists on MOCA’s board—Mark Bradford, Mark Grotjahn, Barbara Kruger and especially Catherine Opie—were unusually active in the search process that led to Biesenbach. Is this a good thing? It’s not a bad thing, and I say that because of my early history with MOCA’s Artist Advisory Council, which met every two weeks before the museum started in 1979. They had the goal of getting the museum started and picked the directors, Pontus Hultén and myself. 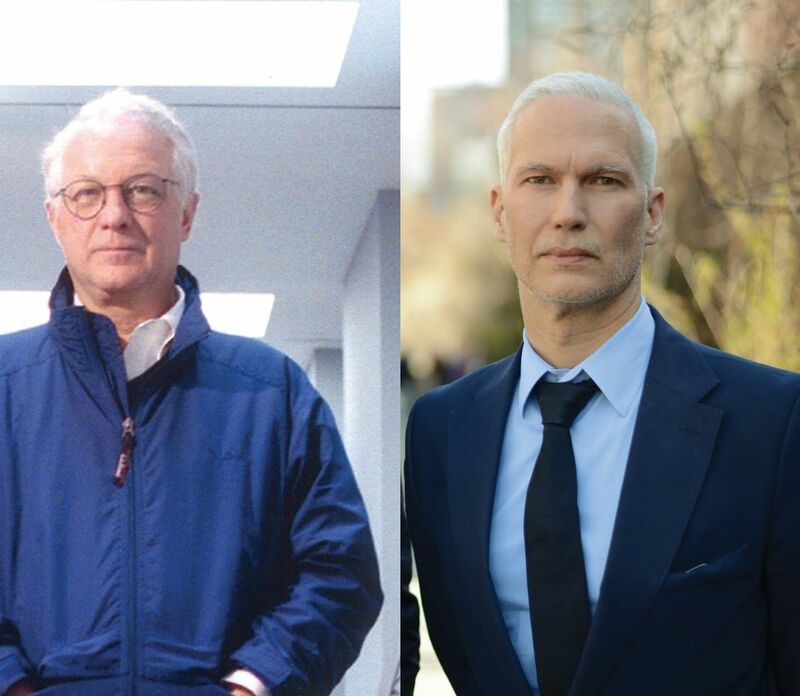 Afterwards they felt they should step aside and let the professionals run MOCA, but Robert Irwin and Sam Francis stayed on the board of trustees. Artists can play an important role; they provide a high level of intelligence in terms of what is happening in the art world and can serve as the conscience of the institution with regard to maintaining high standards. Artists also tend to be connected to collectors, who are potential donors. Our first million-dollar gift, from the head of [the oil company] Arco, came through DeWain Valentine when he was on the artist advisory board. And Robert Irwin was very important early on in building a relationship with Giuseppe Panza, which led to the acquisition of the Panza collection. So let’s talk about the buildings. The Geffen Contemporary is great for some purposes but can’t handle many loans because of climate control issues, while many of us find the Grand Avenue architecture offputting. In both cases I think you bring back the original architects to see how the buildings can be reconfigured. Arata Isozaki could consult on Grand Avenue, and Frank Gehry on the Temporary Contemporary [now known as the Geffen]. That building became an immediate inspiration for other institutions like the Tate Modern and MassMoca because of its studio-like environment. It’s also the gateway into the Arts District. It’s the perfect building where they could create something of even greater benefit to the city and to artists. I think they need to engage Frank, who is doing some of his most original work now, in a long-term strategy that not only includes the existing building but potential physical expansion in that area. The [Geffen] could expand to the north and the west and do a different kind of exhibition and education programme. Does MOCA own this property? I think it would be a negotiation with the city but something worth exploring—Klaus and Frank could work together on it. The Los Angeles Times art critic Christopher Knight has argued that MOCA should be, like the Hammer and the Broad, free to the public. Do you agree? I agree with this 100%. I think the museum is no different than a public park or library, where access should not be based on how much you can afford. Just before I left MOCA, I made a proposal to the board that the museum should be free and even arranged for a donor to underwrite three years of income that would be lost from admissions at $350,000 a year. Unfortunately, the board was not comfortable with moving forward; they thought people would not value it if they didn’t pay for it.